Literary Sojourn is an annual festival of authors and readers celebrating the power of the book. 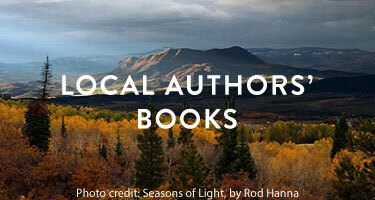 Each fall, an esteemed slate of authors and 500 book lovers from all over the country gather in Steamboat Springs, Colorado at the Sheraton Steamboat Resort. Together they revel in the written word, fueled by award-winning writers who share the stories and inspiration behind their exceptional books.